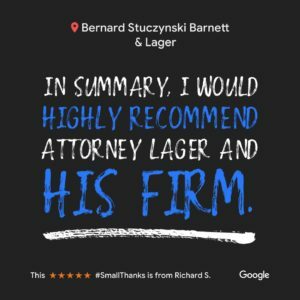 Matt is a partner at Bernard Stuczynski Barnett & Lager. 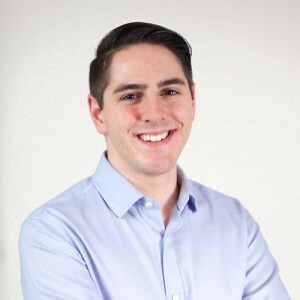 Prior to joining Bernard Stuczynski & Barnett, Matt spent a summer serving as an interning law clerk to The Honorable Frank Palumbo of the Philadelphia Court of Common Pleas, where he drafted judicial opinions for appeals to Pennsylvania’s Superior and Commonwealth courts. Since joining the firm in 2012, Matt has focused his practice on Workers’ Compensation, Car Accidents, Personal Injury, and Social Security Disability law. He has quickly become recognized by his peers and colleagues as an excellent advocate and has been invited onto several committees in the Erie County Bar Association. Matt has negotiated a number of substantial settlements for his clients and prides himself on always going the extra mile. Additionally, Matt is committed to providing pro bono legal services through the Erie County Bar Association’s “LAVA” program, his participation in which has earned him awards from both the Pennsylvania Bar Association and the Erie County Bar Association. In 2017, Matt was added as a Partner of the firm. Beginning in 2018, Matt is serving on the Erie County Bar Association’s Board of Directors for a three-year term. When Matt isn’t working, he loves spending time with his adorable sons, Jacob and Caleb, and his wife (and high school sweetheart), Jackie, who is an attorney at Northwestern Legal Services, providing free legal aid to the residents of Erie County who can’t otherwise afford it. Survey Protocol Me Maybe: Why Survey Protocols Will Help Better Determine the Presence or Absence of Endangered Species , Environs Environmental Law and Policy Journal, Fall 2012, University of California, Davis, School of Law, 36 Environs Envtl. L. & Pol’y J. 65 , 2012.